After an impressive performance against the Blue Jackets this past weekend, the Rangers (3-0-0) are back at MSG for a matchup against the Winnipeg Jets (2-1-0) as they look to continue their perfect start to the 2015-16 season. 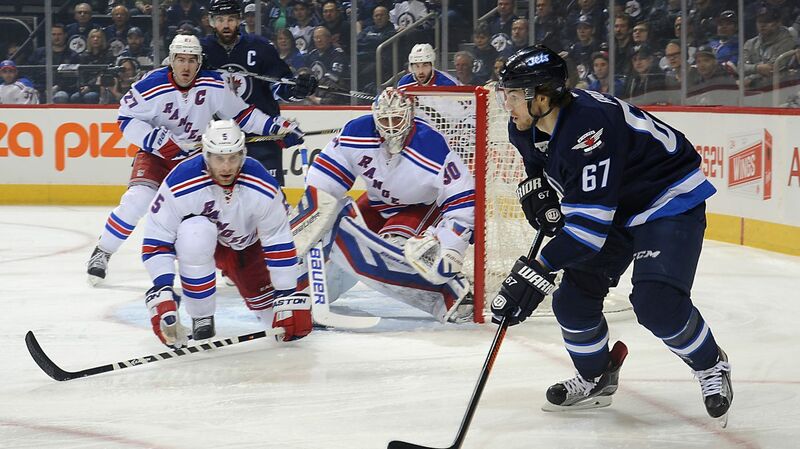 Last season, the Rangers and Jets split the season series with one win apiece. The Jets came away with a 1-0 shootout win on November 1st, while Henrik Lundqvist and Ondrej Pavelec posted a shutout after 65 minutes. On March 31st, the Rangers came away with a 3-2 win at the MTS center thanks to goals from Mats Zuccarello, Derick Brassard and Chris Kreider. The Jets have scored 11 goals this season, while the Rangers have scored 12 through three games, which sets the seen for an offensive showdown. Also, last time these two teams played, Dustin Byfuglien tried to take JT Miller’s head off with a crosscheck, so there may be some physical play or bad blood between these two teams. The Winnipeg Jets are coming off of a matinee matchup against the Islanders, losing their first game 4-2 despite goals from Mark Schiefele and Dustin Byfuglien. Ondrej Pavelec was in net yesterday, making 40 saves on 43 shots against. Michael Hutchinson will be in net tonight against the Rangers, making his second start of the season. Hutchinson allowed just one goal on 21 shots in a win against the Devils. Mark Schiefele’s goal against the Islanders gives him three this season, the most on the team. Blake Wheeler has two goals and two assists, and Mathieu Perreault has four assists. The Jets have a very strong top six, and some scoring from the blue line. 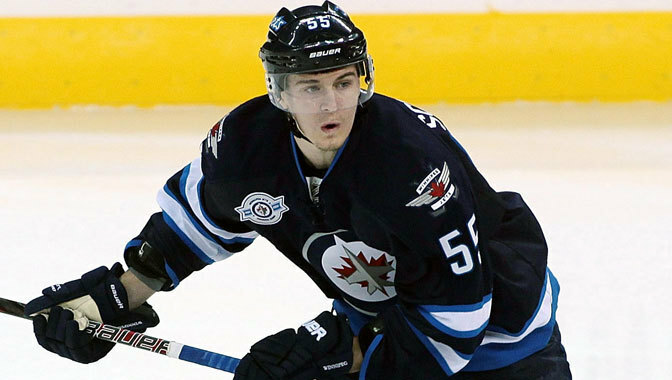 Mark Scheifele. Photo courtesy of Getty Images. The Rangers have been very strong through the first three games, outscoring the opposition 12-6 thanks to a four line offense and some amazing performances from Henrik Lundqvist. Their three wins have come thanks to contributions from everyone, and for the most part, three complete performances. We’re going to keep talking about him until he’s not relevant anymore. Rookie Oscar Lindberg has been excellent to start the season, being named NHL’s second star of the week after scoring four goals through just three games. He’s shown considerable chemistry with JT Miller and Viktor Stalberg, and the third line has arguably been the Rangers best. Derek Stepan is off to a solid start in the first year of his new contract, scoring two goals with one assist in the first three games. Kevin Hayes has fit in nicely on the right wing, and Chris Kreider has been really close to scoring a few times. This line is bound for a big game, and that could come tonight. Rick Nash hasn’t recorded a point through the first three games, a stark comparison to how he began last season. Nash is an elite offensive talent, and he won’t stay pointless for long. The biggest storyline heading into this game is Dylan McIlrath making his season debut. There are no injuries on defense, but instead Vigneault decided to scratch Dan Boyle in favor of the rookie defenseman. Boyle had just one shot on goal and an assist in three games, and some struggles in his own zone. AV said that Boyle can play better than he has, but he also wants to see how McIlrath plays following a great training camp. McIlrath is very different from the guy who started against the Blues last season, and it’s a big game for him. McIlrath will be paired with Keith Yandle, a duo that played extremely well together during the preseason games. It has a Beukeboom-Leetch feel to it, with one stay at home, physical defenseman next to a free flowing offensive spirit. 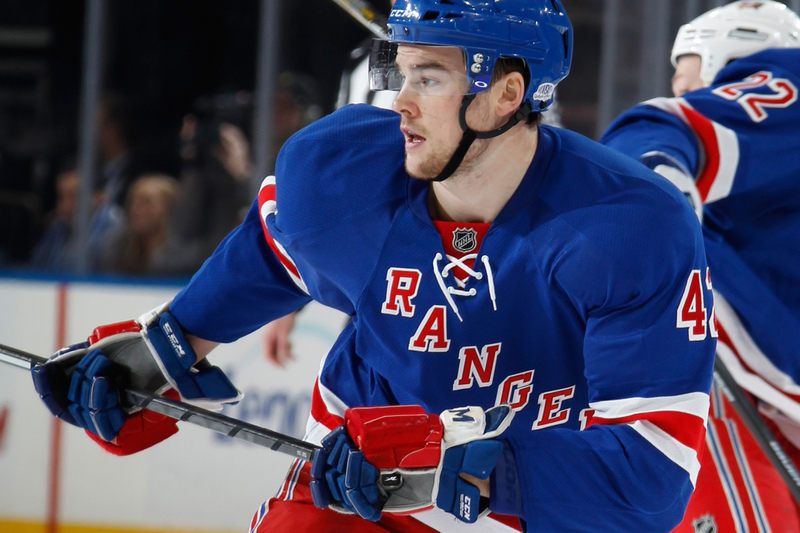 The biggest thing to watch from McIlrath is seeing if he can eliminate the big mistakes from his game. Rather than being overly physical, he focused on playing a simpler game, and staying out of the penalty box. The Rangers will be looking for him to play a reliable defensive game, and use his 6-foot-5, 220 pound frame when necessary. He’s my player to watch for tonight. 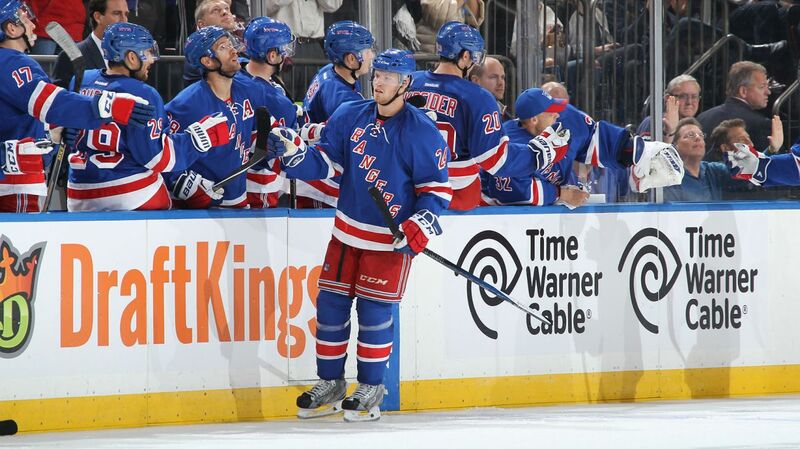 The Rangers and Jets will face off at Madison Square Garden at 7 PM. The game will be broadcasted on MSG Network. Posted on October 13, 2015, in Game Previews and tagged Alain Vigneault, Chris Kreider, Dan Boyle, Dan Girardi, Derek Stepan, Derick Brassard, Dominic Moore, Dustin Byfuglien, Dylan McIlrath, Emerson Etem, Jarret Stoll, Jesper Fast, JT Miller, Keith Yandle, Kevin Hayes, Kevin Klein, Madison Square Garden, Marc Staal, Mark Scheifele, Mats Zuccarello, MSG, New York Rangers, New York Rangers blog, NHL, NYR, Oscar Lindberg, Rangers, Rangers blog, Rangers Season Opener, Rick Nash, Ryan McDonagh, Viktor Stalberg, Winnipeg Jets. Bookmark the permalink. Leave a comment.